Have you thought about securing a Cape Town holiday package? It's really simple with Expedia, and you'll be able to buy some nice meals or presents for your friends back home with the cash you save. Would you like to save up to 16%*? Purchase your family's travel package on Expedia today! Explore our intercontinental database of more than 400 airline partners and 321,000 worldwide properties. Too many on there to select from? Don't stress — we'll help you decide! Rest assured that you may cancel almost any booking and you won't pay a cancellation fee to us. Can't wait for your trip to Cape Town? Keen for a few pointers about what to do and see when you arrive? That's where we can help! Of course, if you're on your way to Cape Town, you probably already know all about Table Mountain. This world-famous attraction is not to be missed! With wonders such as Two Oceans Aquarium and Castle of Good Hope, there will never be a boring moment in this metropolis. When you're done exploring those, push on to Greenmarket Square and the Cape Town International Convention Centre. A wise man once said, "Art, in itself, is an attempt to bring order out of chaos." Admire the intriguing works at South African National Gallery, and take a couple of minutes to envisage the story of each piece. There's an excellent range of things to do in this destination. Throughout the years, people have built towering edifices for many different reasons. Come and learn about the history behind Clock Tower — you can't miss it! Still have some time on your hands? Burn off yesterday's dessert and get some fresh air by walking to the top of Signal Hill. Be sure to keep a lookout for native wildlife too. Travelling is about doing things you like as well as things you've never attempted before. Are you ready to try some exciting new experiences? Check out the Cape Town things to do page for a comprehensive list. 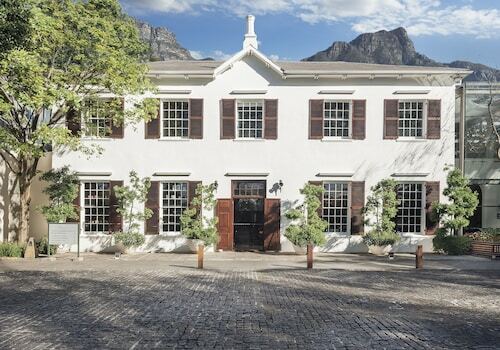 While Cape Town does have around 377 properties to pick from, it's always better to book a room beforehand. Unsure where to begin? Expedia is here to help with your cheap holiday or luxury getaway. Cape Town's premium options such as the Ellerman House (180 Kloof Road Bantry Bay) and the Ivory Sands Villa (2 First Beach) are sure to delight the most discerning guests. If you don't feel like shelling out such big bucks, why not spend your nights somewhere less expensive? Try the Cape Town Beachfront Apartments At Leisure Bay (3 Fourjays Road) or The Backpack - Hostel (74 New Church Street). Nobody likes wasting time at the airport. But it's worth it when you remember the holiday waiting on the other side! Positioned 11 miles (18 km) east of Cape Town, Cape Town International Airport (CPT) is the most convenient terminal. Take a cellar tour to see the barrels, tanks and bottles in this illustrious wine farm that dates back 300 years. Experience the stunning scenery and a wealth of native wildlife at what is almost Africa’s most southerly point. Fill your whole day with exciting activities at a family-friendly attraction that offers games and fun amid fields full of strawberries. 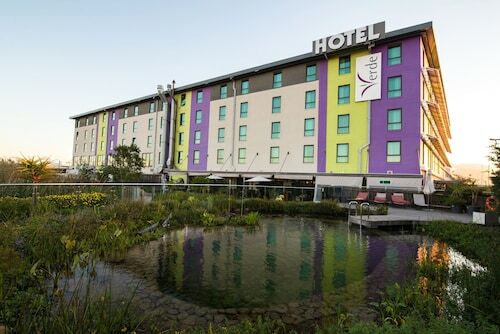 Situated near the airport, this hotel is within 9 mi (15 km) of University of the Western Cape, Cape Town Science Centre and Access Park. Newlands Stadium and Castle of Good Hope are also within 12 mi (20 km). 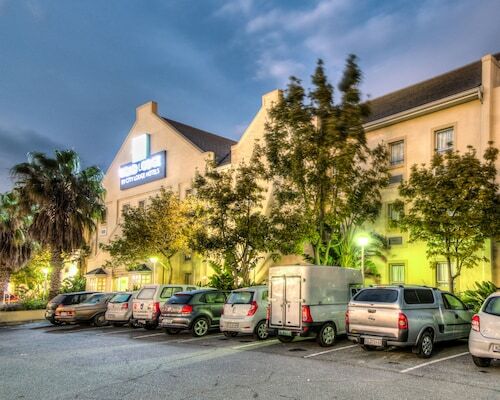 Situated near the airport, this hotel is within 6 mi (10 km) of University of the Western Cape, Tygerberg Hospital and GrandWest Casino & Entertainment World. Cape Town International Convention Centre and Stellenbosch University are also within 25 mi (40 km). 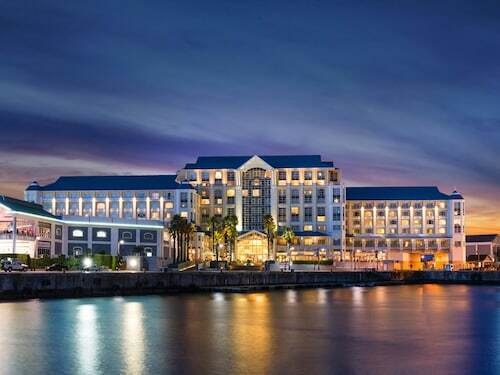 This family-friendly Cape Town hotel is located on the boardwalk, within a 5-minute walk of Victoria and Alfred Waterfront and V&A Waterfront. Two Oceans Aquarium and Cape Town Stadium are also within 1 mile (2 km). 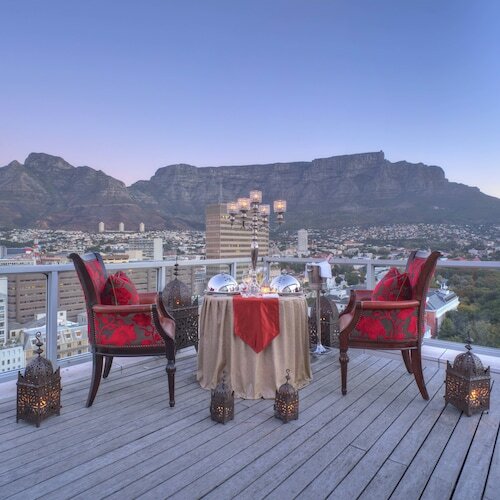 Located in Cape Town City Centre, this hotel is 0.3 mi (0.5 km) from Artscape Theatre Centre, and within 3 mi (5 km) of Cape Town Stadium and Table Mountain Aerial Cableway. Kirstenbosch National Botanical Gardens is 7.4 mi (11.9 km) away. Cape Town Station is 8 minutes by foot. 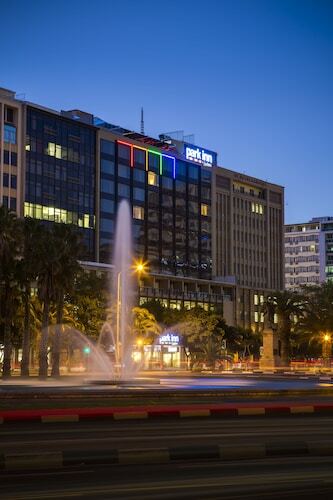 Located in Cape Town City Centre, this hotel is within a 15-minute walk of Cape Quarter Lifestyle Village, Victoria and Alfred Waterfront and Long Street. Two Oceans Aquarium and Cape Town International Convention Centre are also within 15 minutes. Cape Town Station is 19 minutes by foot.